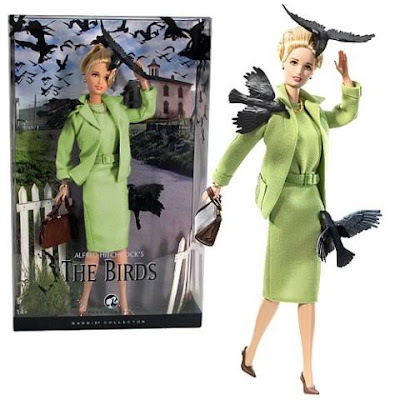 For $29.99 you too can own Alfred Hitchcock's The Birds Barbie Collector's Doll! Complete with Fifties-style attire and homicidal feathered fiends. Gotta wonder what's next. Psycho Barbie perhaps? It could come with no clothes and multiple stab wounds!